PCB Assembly FAQ – What Does PCBFABEXPRESS Do? What does PCB Fab Express do? What are your PCB and Assembly capabilities? PCB FAB EXPRESS provides the best value in 2 to 8 layer prototype Printed Circuit Boards and Assembly for 1 day turn time thru 3 week turn time. We partner with well-regarded ISO 9001:2008 certified US based PCB manufacturers and Assemblers to provide you outstanding quality at low prices. While we do most of our business though our website, we do provide custom quotes for sophisticated requirements that do not meet our standard online specs. We also provide custom quotes for production quantities through our relationships with PCB manufacturers and Assembly companies in Asia. What if my board specifications do not meet your online specials, or what if I want faster turn-times than you offer online? How do I get a quote? We find that a vast majority of our customers can easily use our Standard PCB or Bare PCB promotions online. If your board does not fit the specifications of those fantastic online specials or if you want fast 24 hour turn time etc, then we will happily get you a custom quote here. Your custom quote will be sent as soon as possible (generally within 2 hours). I am new to PCB prototyping, how can PCBFABExpress help? We encourage our users to review our "New to PCB Prototyping" section for tips and pointers on getting started in this industry. Additionally you can visit our Glossary section. Does PCB Fab Express do business with PCB buyers and designers outside USA also? Apart from customers in USA, we serve customers in many countries including Italy, France, New Zealand, Denmark, Malaysia, India etc. We send boards to them by FedEx International. How can PCB Fab Express offer such low prices? For our lowest priced PCBs we go the extra mile to get cost-benefits for you. Like most of our competitors in the low priced PCB market, we panelize your data with data from other orders to reduce panel costs. We have proprietary software that enables us to do this panelization quickly and easily. Our Engineering department is a network of engineers working out of their home-offices over fast and secure VPN connections. This allows us to reduce our fixed costs. We have close relationships with well-regarded vendors to use their excess capacity to make our PCBs at low prices. All this effort results in low price per panel and we pass on all the savings to you! 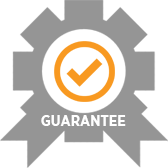 What is your guarantee? What if I am not satisfied with the boards I receive? Our prototype PCBs are made in ISO certified facilities and are manufactured to IPC-6012 Class 2 specifications and guidelines. Although we aggressively cut costs to benefit you, we never compromise on quality. We stand behind the boards we make and are committed to your satisfaction. If your printed circuit boards are not made to your specifications, we will remake them immediately. On your part, you can help us by making sure the data you provide is accurate, complete, and contains no discrepancy in information. For online specials, please be sure to read the online specs and the choices you make online. If you order an online special, you get fantastic low prices, but you take responsibility of reading through the specs and conforming to them. For custom quoted jobs, we always do a full design rule check to catch mistakes (for example does your design lead to solder mask in vias etc). How can I make sure my job is not put on hold? What are the most common mistakes that I can avoid? - Make sure none of the files you send us are corrupt. Material type and finished thickness of the board. There are no discrepancies between Gerber data and Fabrication Print. Plated and Non-Plated holes are clearly defined. Please check our product definition page when you are placing an order. The maximum size of plated holes allowed is 246 mils and the maximum size for non-plated holes is 250 mils. Gerber files are scaled one to one. Thermal connections are not missing on plane layers. All board construction notes are on the Fabrication Drawing. Your board construction notes should not be scattered around in multiple documents. We are liable for the board construction notes on the Fabrication Drawings only. A) Positive polarity file:This is a layer representation where what is seen on the screen is what is plotted and there is no reversal of form. Pads will be plotted as is and the empty spaces remain as empty after plotting. We require that Outer layer files ALWAYS be shown in positive polarity. B) Negative polarity file: What is seen on the screen is plotted inversely. Whatever is viewed as solid is plotted as clearances, and the empty spaces will be flooded with copper after we plot. We *prefer* INNER PLANE LAYER files in this form. C) Mixed layers: Solid Ground/Copper fill and the Pads and or Traces are on the same layer. One single file contains all the data (Copper pour, pads and traces) for a layer. These files should be in positive polarity. D) Composite layers: When the merging of two different files results in the required layer, we call such a layer a composite layer. The two different files can be of two different polarities. For Example:- The design has files with following extensions: *.topneg, *.toppos, *.smtop & so on. The customer expects that we take this set of files and merge *.topneg and *.toppos resulting in top copper layer file. NOTE AGAIN: For PCBFABEXPRESS ONLINE promotions we strictly require only one file per layer or in other words, for our ONLINE promotions, we DO NOT ACCEPT COMPOSITE LAYERS. However, for Custom Quoted jobs we do accept composite layers. Why do we prefer inner Plane Layers in Negative Format? Negative layers, in many cases, are not as large of a file size as positive layer files. What is a Negative Plane Layer? This is the representation of a plane layer in your CAD software, where the background represents copper and the colors in the plane layer represent non-metal areas. (Generally for all other layers, you would want the color to represent the copper traces (ie Positive Format) -- it is only for INNER PLANE layers that we need this negative format). Most CAD software these days by default automatically output INNER PLANE LAYER data in negative format. But please make sure your files are in this format before you send them to us. What is Multiple Parts? How do you charge for it? On our internet specials, we typically expect the design you submit to have a single image of a single PCB. Sometimes, customers submit multiple PCB designs in one image. We call this Multiple Parts. In such cases we will route out the whole part as one and customers are responsible for splitting apart the individual multiple parts themselves. Also, we have a small extra charge for any such designs which have multiple designs inside.The charge is $20 for each extra part. Example: if we find there are 3 parts in a single image in your design, then that means 2 extra parts-- and the charge is $20 X 2 = $40, added to order total. Again, this is applicable to our internet specials. See some examples of what we consider multiple parts here. Are there any special guidelines for non-plated holes? Rule (1) Non-plated holes must not exceed 250 mils (0.250 inches) in diameter. Rule (2) There should be no copper any closer than 10 mils (.01 inches) to any non-plated hole. What if my PCB prototype design does not meet the specs of the boards you offer online? How can I get a Custom Quote for such prototypes? Why should boards be electrically tested? Electrical testing is mandatory for boards with MORE than 4 layers. Although electrical testing is OPTIONAL for 2 AND 4 layer boards, we do highly recommend it. This is the only way for any PCB manufacturer to ensure the product shipped has zero shorts or opens. Visual inspection can never be 100% effective. Especially, if the defect is under the solder mask, electrical test is the only way to catch it. I see an "Electrical Test" option while placing an order. What does this do? What files do I need to provide to get my boards electrically tested? When you select the Electrical Test option (DRC & Test) then the final PCB is tested using sophisticated flying probe testers to ensure that all the connection points on the electrical netlists are correct. For the most stringent electrical test of your boards, please include an IPC Netlist in 356 format, in your gerber package. If you do not provide such an IPC Netlist, we will test using a Netlist that we generate from your gerber files. What's the recommended thickness of line for PCB outline for routing? 10 mils is the standard thickness for the line marking the PCB outline. Is routing done along the center of the outline? What is the routing tools diameter? Our standard routing bit diameter is 0.062 inches. Do I have to account for the router bit diameter in my PCB design? No, you just have to tell us the finished dimensions of your board. We internally do the adjustments for the router bit size, so that you get your required finished dimensions when we individually route out your boards. What are the acceptable finished hole sized? Type Mininum Maximum Plated 0.015" 0.246" Non-Plated 0.015" 0.250"
What should be shown in drill file: tool diameter or finished hole diameter? Please provide finished hole diameter in your drill files. What does 1 oz outer copper mean? "1 ounce outer copper" is the most common finished copper specification for PCBs. To achieve this in the manufacturing process, we start with a 0.5 oz copper foil and plate 1 mil (0.001") in the hole. The outer layer then ends up at 2.1 mil (.0021") thick copper (excluding tolerance) and this is about 1.5 oz finished copper per square ft, commonly referred to in the industry as "1 oz outer copper". Do you do only top-side silkscreen or both sides? We can ofcourse do silkscreen (legend) on both sides. In the online specials, only top silkscreen is included. Bottom silkscreen is optional in the online specials for an additional charge of $50 to the order total. What is the minimal thickness of line for legend text? 0.005" is minimum recommended trace for legend text. What is the minimal size of letters on legend? 0.040" is the minimum recommended height. Monday through Friday, 8:30 am to 5:30 pm Pacific Time. How do you calculate turnaround time? Our order cut-off time each business day is 5:00 PM. We calculate the turn-time from the 5:00 PM cut-off time. For example: If your order and files come in on Wednesday anytime before 5:00 PM Pacific Time, then for a 4 day turn-time, the order will SHIP on next Tuesday evening. On a 5 day turn-time that order would ship on the next Wednesday evening. What files do you need to manufacture my PCBs? Where should I send these files? We need Gerber RS-274X or ODB++ file. Please make sure there are NO discrepancies in the information you provide. Drill file in excellon format and respective drill size and quantity information in Fabrication drawing or in text file. After you place your order online you can upload your design file on website. Or you can send your files to support@pcbfabexpress.com. Please ensure that your Order number (eg FXE0012CD23) shows on the subject line of your email. Sorry, once your order is placed we immediately panelize it to start manufacturing. We cannot cancel your order. Full charges (except shipping and handling) will apply. Can I use Purchase order or check? For online orders we generally only accept credit cards (Visa/MasterCard/American Express). For offline (custom orders) we do set up credit terms and allow Purchase orders. Please contact support@pcbfabexpress.com to discuss any such requirements. My boards are for Resale in California. Can I avoid the California sales tax? use Purchase order or check? If your boards are shipping to California address and are for Re-sale, then we will NOT charge you any CA sales tax, if you provide us a proper resale certificate. You must fill this, sign it, scan it and upload a softcopy when you place an order online. Note that even if we have the copy of your re-sale certificate from previous orders, you are required to explicitly tell us for each order, whether or not that order is for re-sale. We are not allowed to simply assume that every order is for re-sale. How do you ship the boards. What carrier do you use? We ship using FedEx and UPS only. We also do local Driver delivery in a 20 miles radius around Sunnyvale, California. Any disclaimers when I place an order? We inform you of the following terms when you order online. PCB Fab Express reserves the right to reject or cancel any order. Please ensure that your PCB specifications fully match the product you are ordering. Standard shipping prices are shown during the online order, but if your boards weigh more than 2 lbs, we may revise the shipping and handling charges. We build your PCBs in a high quality manufacturing plant. Relying on our quality processes, many customers order their boards without the (Design Rule Check and 100% Netlist Testing) option, and they are perfectly happy with the results. However, if you choose to not have DRC and Test, please understand that no manufacturer can guarantee defect free boards, particularly in multi-layer orders. I have more questions. Where can I reach you? Please look at the contact us page on this website. What are the shipping options available on PCBFABEXPRESS and what are the corresponding costs involved? When will my boards ship if I place an online order today? What is a sliver? How does it affect my PCBs? What are Etch and Plating Resist Slivers? Slivers refer to small sections or partials of dry film. When processing printed circuit boards a dry film resist is used on the inner layers to define the areas of copper that are not to be etched from the panel. On the outer layers this same resist material is used as a plating resist. The major difference between the inner and outer layers is the polarity of the image after developing the dry film resist. When processing inner layer images, the dry film etch resist is laminated to the core material. Dry film etch resist is laminated to the core material, exposed and then developed. After developing, only the resist needed to protect the copper image remains on the core material. When processing outer layer images, the dry film resist is used as a plating resist to define the areas that will have additional plating added to the panels. After developing, the resist remaining on the panel will cover the copper that is to be etched away after the copper plating is completed. The plated copper is covered by tin which then acts as the etch resist. How do dry film resist slivers affect your boards? Any small partials of dry film resist have the potential of being lifted off the panel after developing and may re-deposit itself in an area where it could be detrimental to the end product. Such re-deposited resist slivers may cause shorts and/or opens on the end product. For this reason PCB FAB EXPRESS has established a minimum size of .006" by .006" for the dry film resist slivers for our standard web products. What can you do to prevent dry film resist slivers? When designing your board you should not have any areas that would result in small etching and/or plating resist slivers. Any features that result in small dry film resist slivers must be modified in your design to increase the amount of resist to aid in the adhesion of the resist to the laminate. If this is not practical the area may have to be filled to prevent the dry film resist slivers. Why is DRC & Test recommended? This is optional for 2 & 4 layer orders and mandatory for 6 layers or more. We highly recommend DRC and testing on all boards because that is the only way any PCB manufacturer can ensure the product has zero shorts or opens. Especially, if the defect is under the solder mask, electrical test is the only way to catch it. If you choose not to DRC & Test your 2 or 4 layer boards, you assume the risk of shorts or opens. No PCB manufacturer can guarantee against shorts/opens if DRC & Test is not done.